Bern Shen, M.D., is Chief Medical Officer at HealthCrowd, an information technology company he co-founded. He took the time to talk to Swiss Re for our Open Minds film project while he was attending a longevity conference at the Centre for Global Dialogue in Rüschlikon, Switzerland. Bern, an experienced professional who's practiced in places as remote as Nepal, believes that the biggest improvement in longevity and quality of life will come from information technologies. His start-up HealthCrowd focuses on simple mobile solutions that recognize the uniqueness of every patient and provide the patient with tailored, actionable information in the form of text messages. This information takes into account everything about the patient - even things like time, i.e. when a particular patient is most likely to take action. Simple messaging, tailored to the individual, is proven to lead to health improvements and to alleviate financial burdens. I find this fascinating - and definitely up-and-coming. I've recently watched a documentary about people who personally keep track of every single element of their bodily functions (all the way to a guy who stores his stool samples and has them analyzed regularly). Apps and upcoming game-changers like Google Glass will give us instant assessments of heart rate, body temperature and more. Things are going to change on the technology side, for sure - but as much as all of this is empowering, it'll always be taken a bit more seriously coming from a professional outside source. 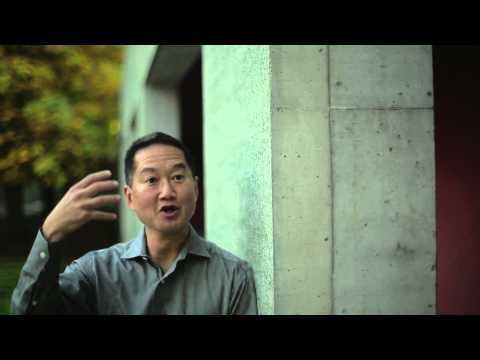 In this video clip Bern Shen actually focuses on something that very much goes with his territory. He talks about the wasted human potential he's seen over his many years as an M.D. - according to him, information technologies will allow many more people to fulfill their potential. As he says in this clip, "If we could only reduce the amount of wasted potential and if people focused that potential on things that help others, it would make the world a better place." Tags: #Innovation, #Open Minds video, #Video, #Health care, #information technology. Gilles Renouil - 6 Jan 2014, 5:23 p.m.
A great vision, a longer life in return for sharing information! Thanks for posting this Daniel. This topic comes in timely at the crossroad of the debates about big data, privacy, societal crowd-sourcing projects and cyber-security. Am I willing to share information about my health in exchange for a longer life for me - and more importantly, a longer life for the future generations? There is a public follow-up discussion around the "mediator case" in France. This amphetamine based drug was banned from the market in December 2009 on the grounds that it may have caused the death of 500 to 2000 people. More recently some studies unveiled that, had data been crosschecked between labs and health insurance schemes, a correlation pattern in the patient data could have been discovered much earlier: those would took the drug had a higher chance to suffer from a valvular heart disease.